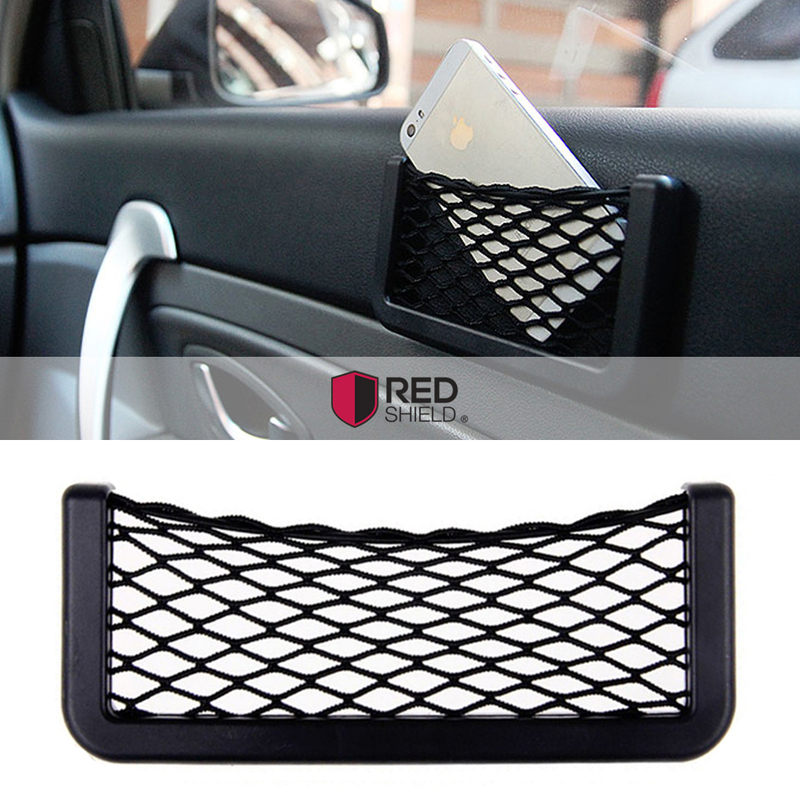 [REDshield] Multipurpose Auto Trunk Organizer for Car, SUV, or Minivan w/ Towel Rack @ AccessoryGeeks.com! 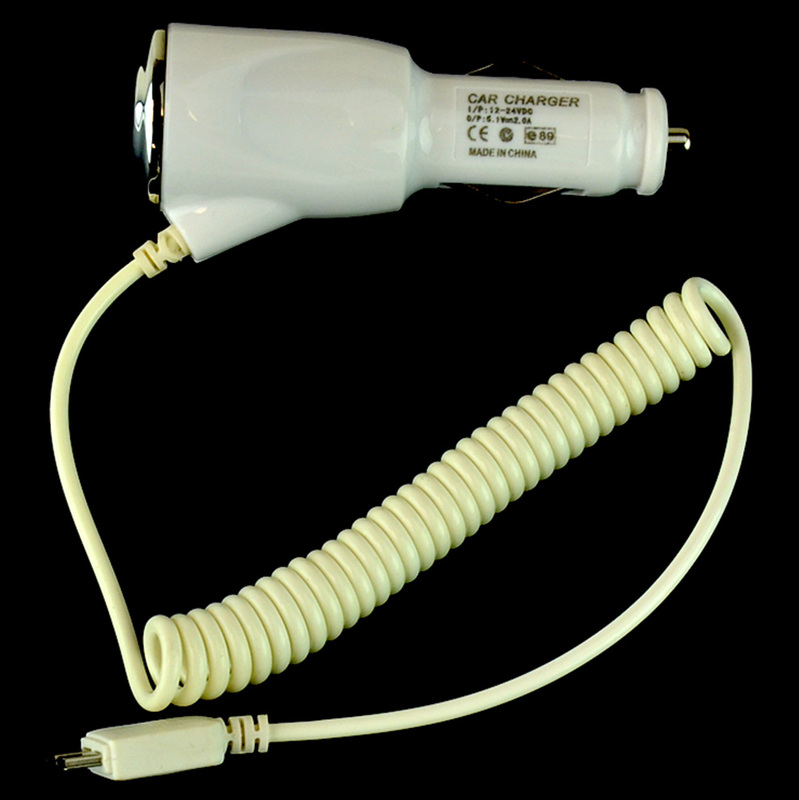 This simple and easy to install product is great for everything from your car care products to reading materials for those longer stints on the road. 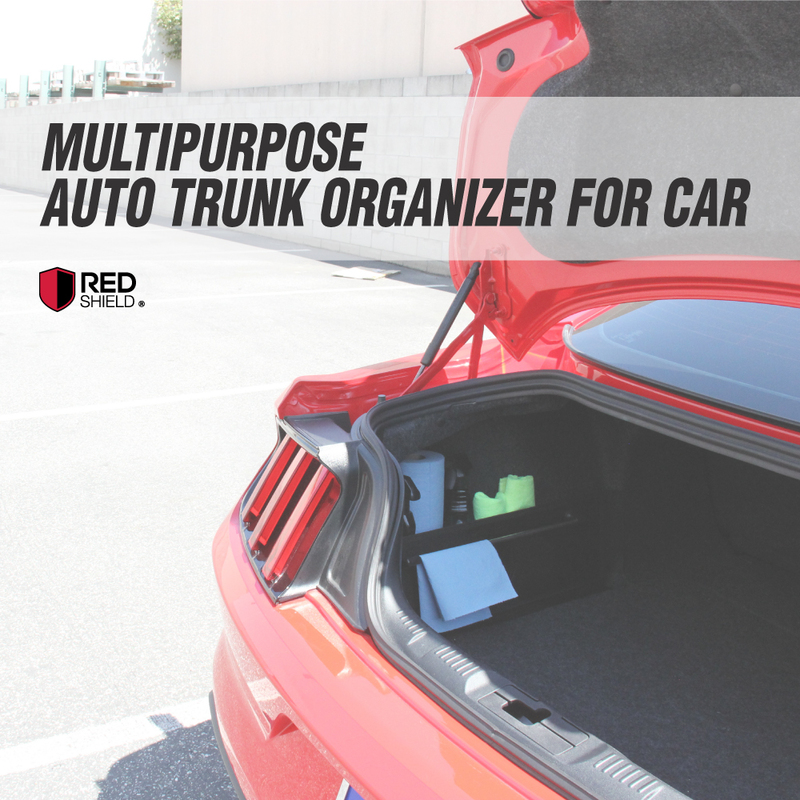 For many commuters, keeping your car organized can be a bit of a nightmare. MESSY TRUNK? Worry no more! With this trunk organizer, you can block off the weird angles on the sides your trunk to create shelves. This model features a towel rack. 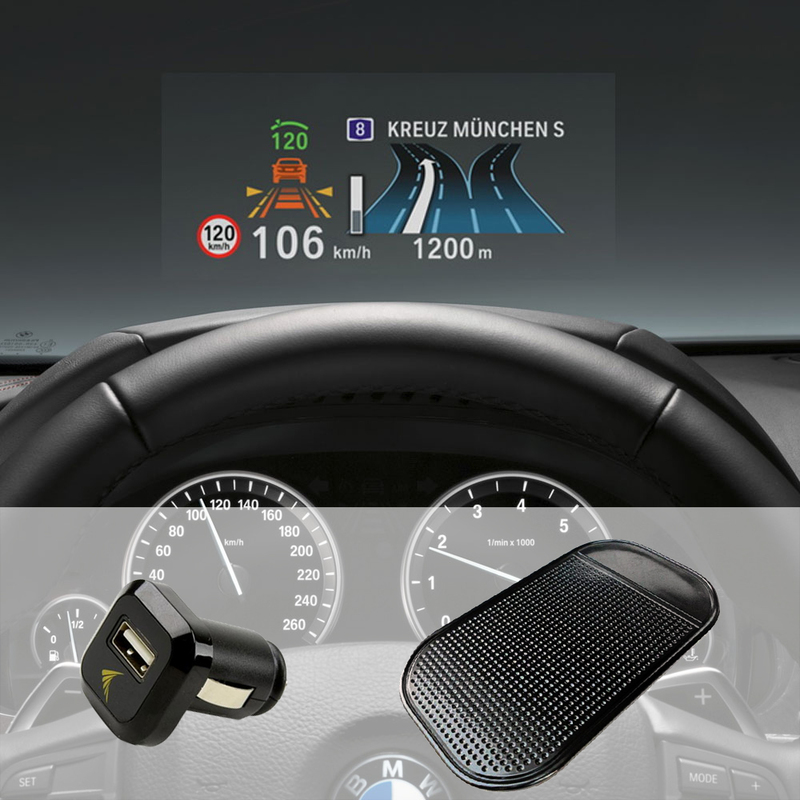 This simple and easy to install product is great for everything from your car care products to reading materials for those longer stints on the road. 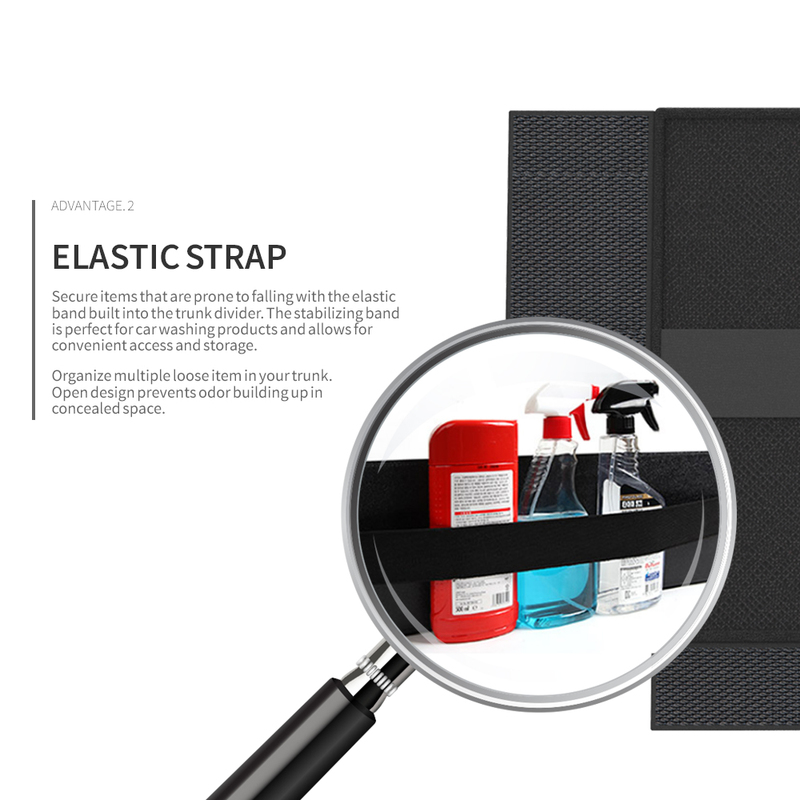 For many commuters, keeping your car organized can be a bit of a nightmare. There are countless of items in the trunk for most people, and yet there never seems to be that perfect place available for any of it. No one ever likes to look disorganized. Thanks to these trunk organizers, there is now a SOLUTION! 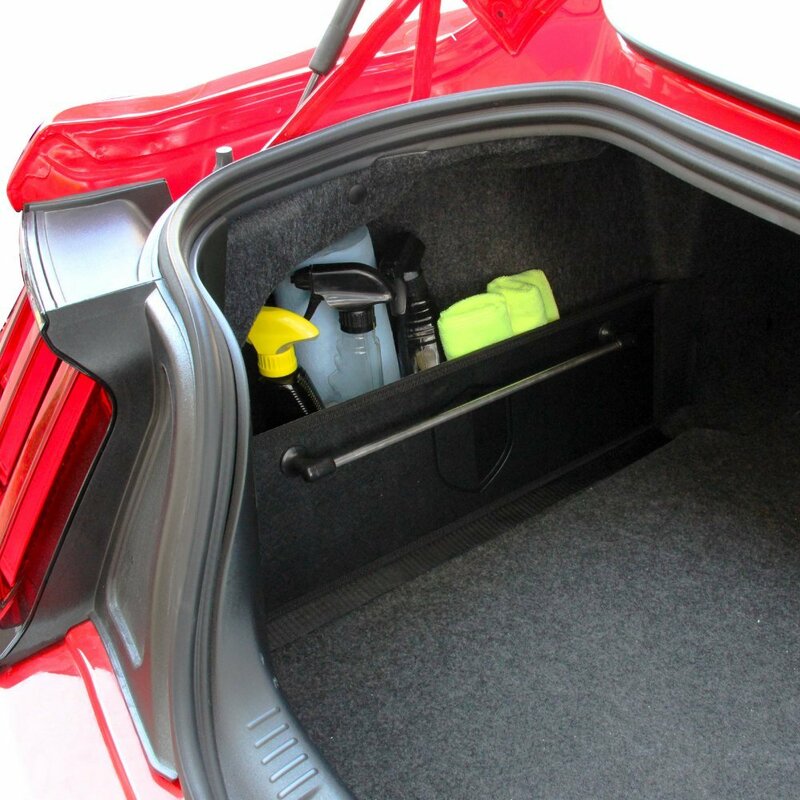 Make use of side spaces in your trunk to make the trunk more practical and spacious. 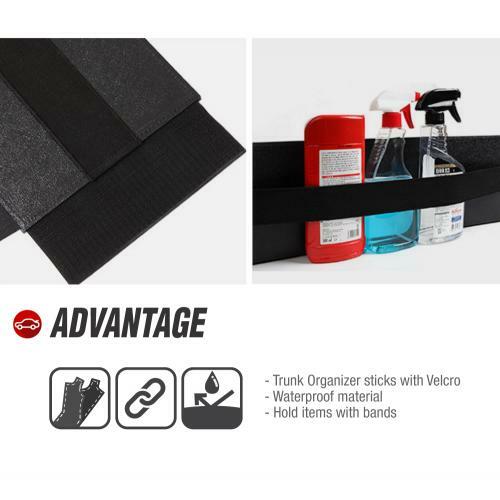 Our trunk organizer keeps things together, has an easy access to all your items, and has a band to keep things from moving. 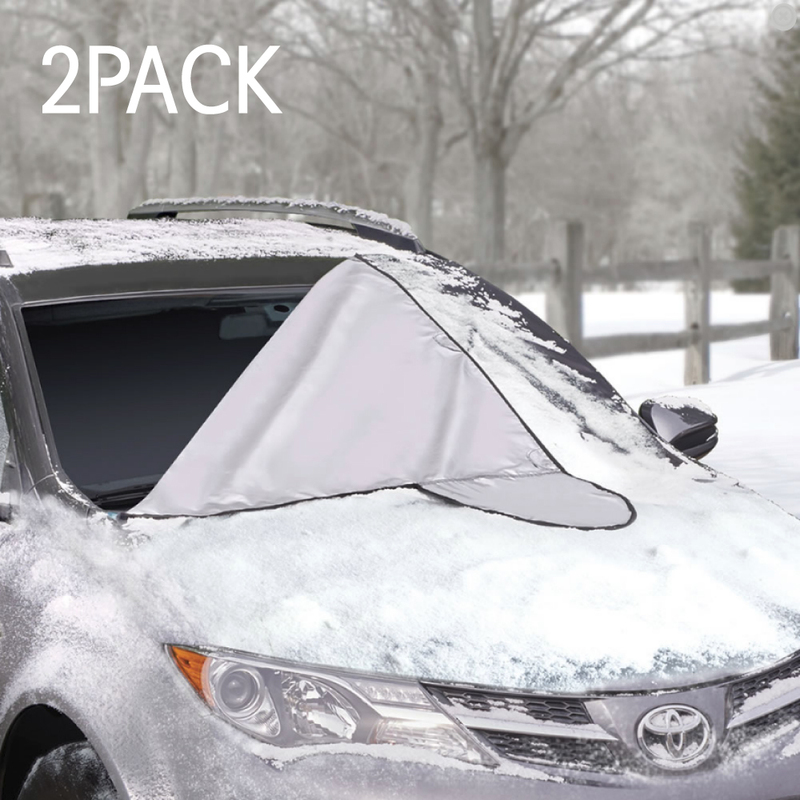 It fits most cars, minivans, and SUVs. 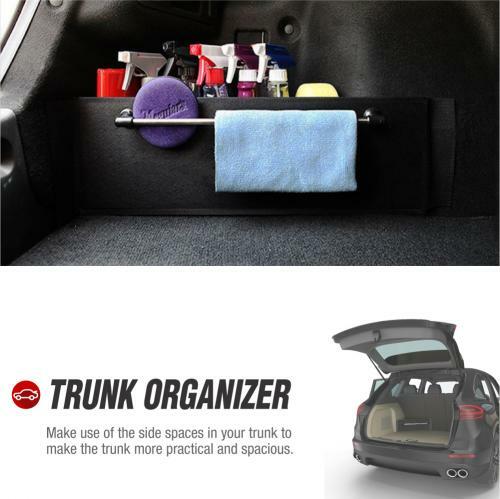 This trunk organizer is stylish, durable, and versatile way to tidy your car. It attaches with Velcro to the material in your trunk and sections off a small area in the corner. 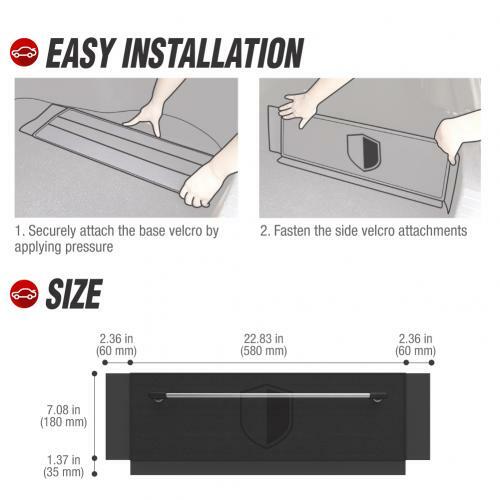 Very useful or basically anything you don't want rolling around in your trunk. Price is great too! Finally, I have space for my small items, bottle, and towel rack. 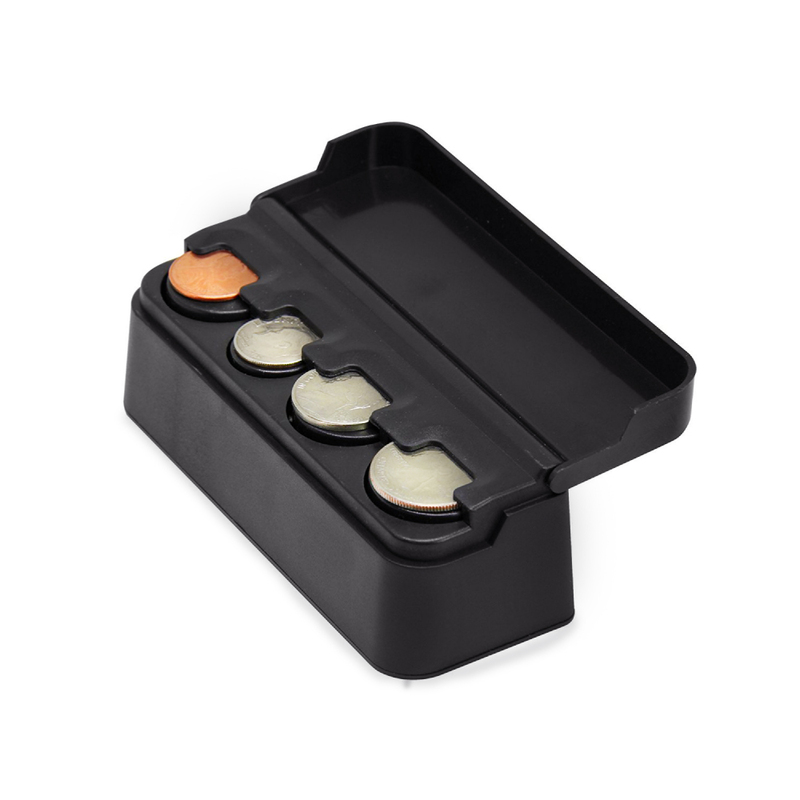 Very sturdy, easy to re-arrange, simple design with good quality. It gives my trunk a clean look! Thanks, Geeks! 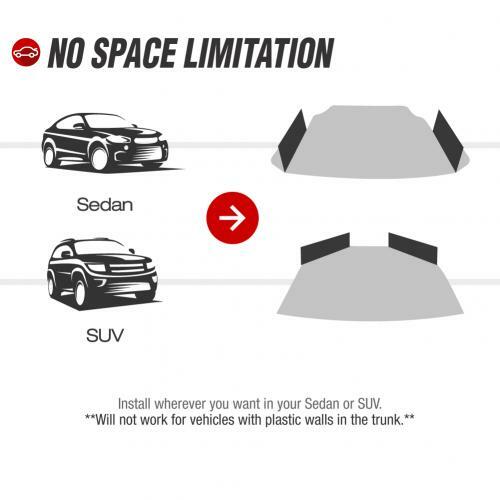 They can help you to use trunk space more efficiently. I use it to hold a bottle of spray and also has a towel rack. 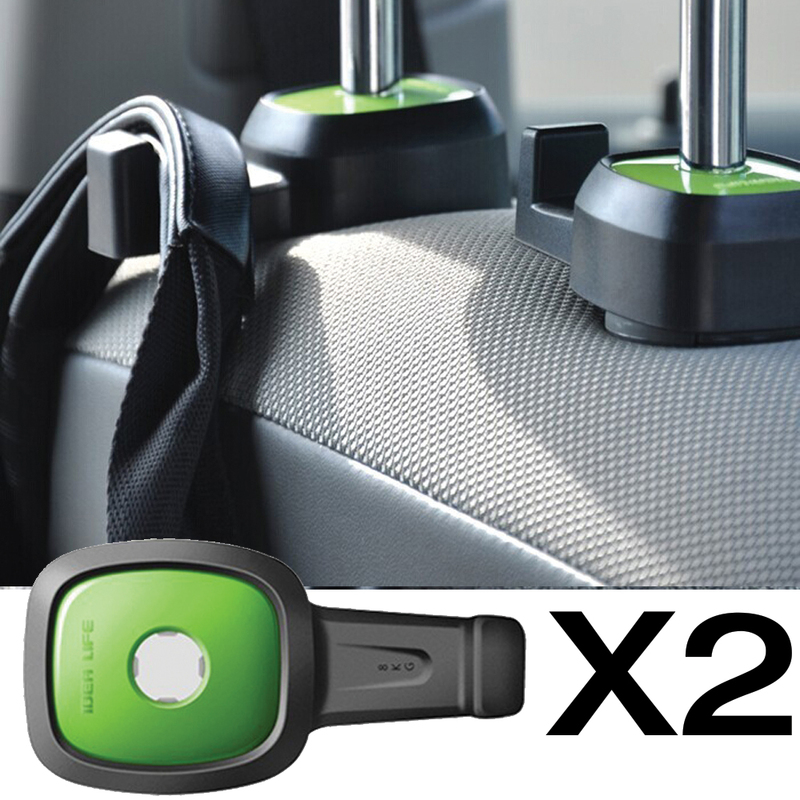 Very easy to attach in the trunk of the car. Love them so much! Keeps my trunk neat and organized. 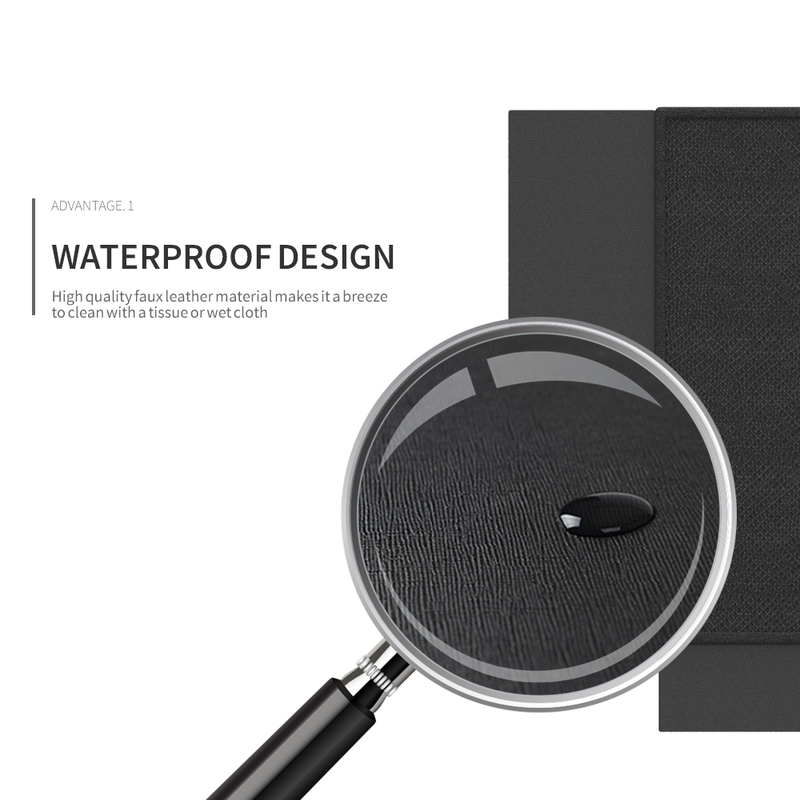 This is strong, premium feel, and the velcro's inside flap is super cool. Importantly, stops my tools from rolling around the trunk. 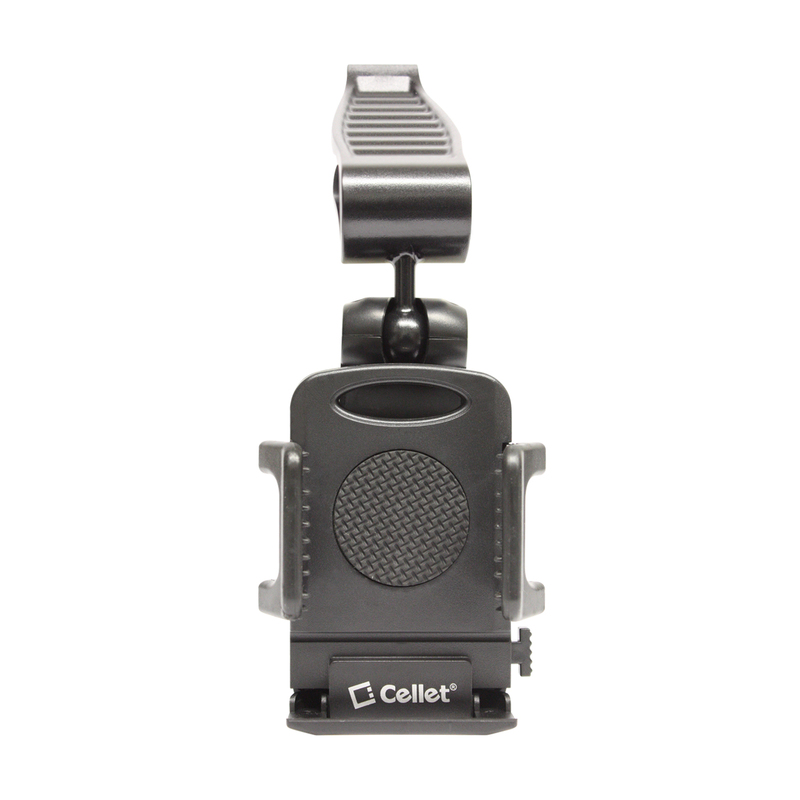 Easy to attach, easy to detach, and easy to use. 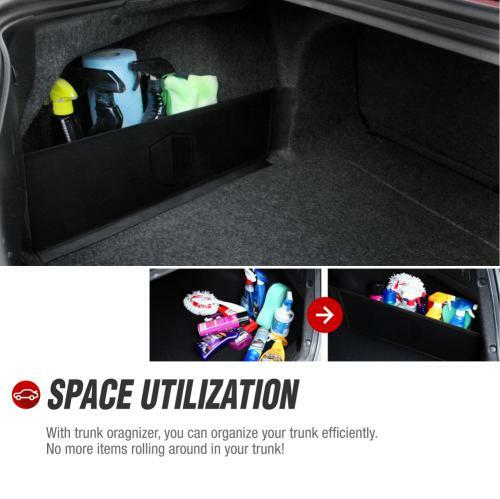 This trunk organizer provides enough room that I can put stuff in it and a towel rack on the side. Very useful! 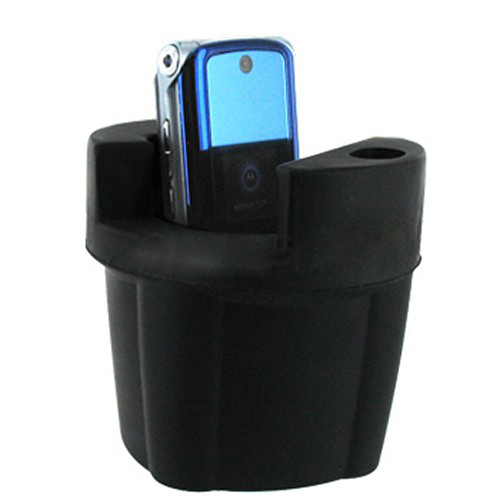 It fits perfectly and worked great holding several bottle of car care products. Keeps everything contained so it doesn't slide around plus a place to hang a towel. A clever idea! Keeps my trunk neat and organized. One of my favorite things I bought for my car. I can store all my cleaning supplies in a way that they don't roll around the trunk!